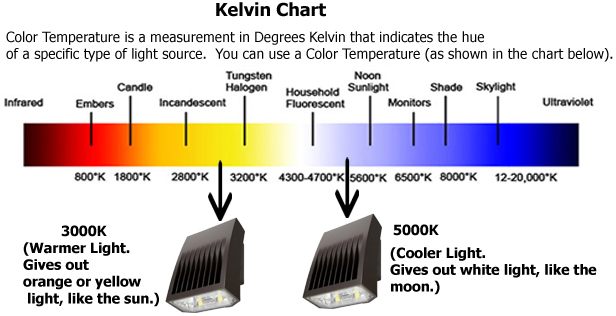 The degree Kelvin (° K) allows to measure the color of the light perceived by the human eye. 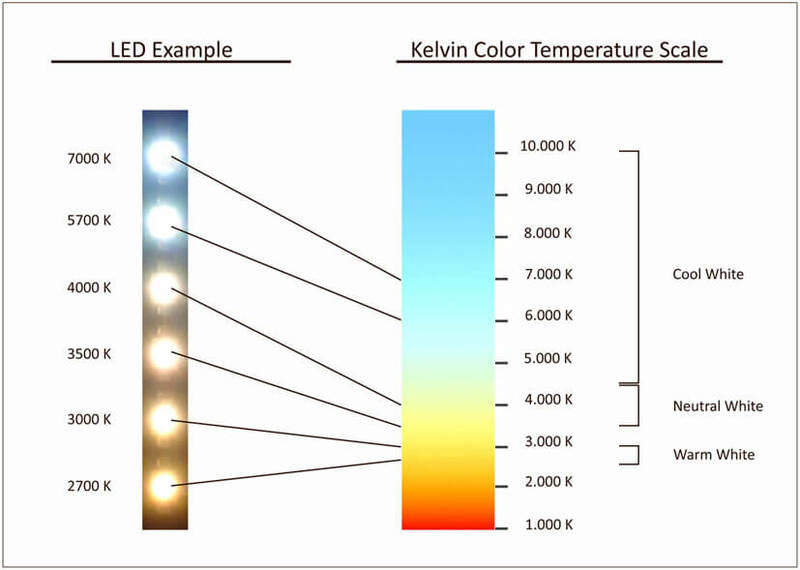 It is used to measure what is called the color temperature. In fact, you have seen that with the arrival of the LED market, the bulbs will decline now in several colors. A traditional yellow, to industrial white. There is something for everyone. As you can see it by looking at a rainbow, natural light emitted by our Sun has rays of light frequencies and different colors. The combination of all these colors creates white. It is cases like this that the human eye perceives light. The light spectrum is composed of 16 million shades of different colors. Our objects of all the days have too many colors. The human eye sees them through reflection, the rays of the Sun hitting the object before be reflected up to our eye. 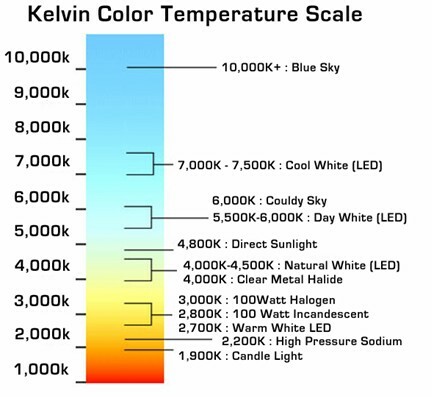 The disadvantage of traditional bulbs (emitting a color of about 3000 ° Kelvin) is that it emit only a tiny part of the light spectrum. Our eye perceives then by reflection the colors emitted by the bulb. This is why the report seen by the eye is not the same if you were watching your outdoor weather is a great item! Indeed, the yellow will be added to the color mixture perceived by the eye. 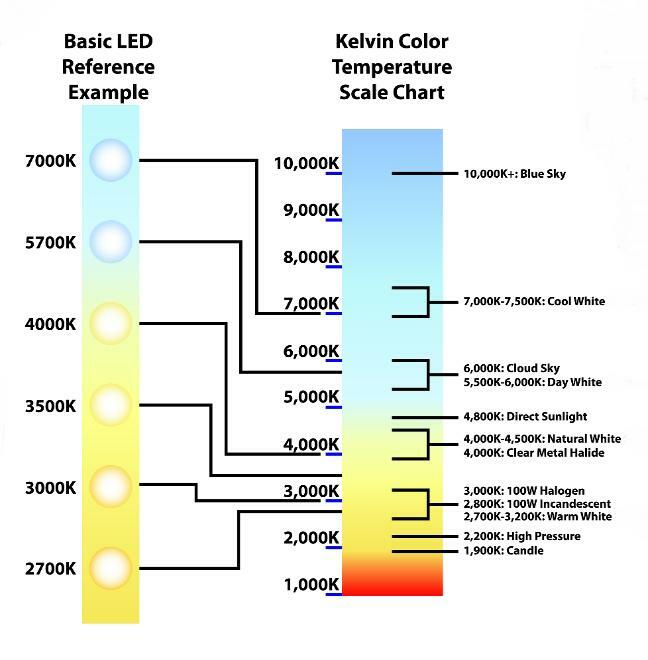 A LED bulb in cool white with a color of 6500 ° Kelvin, will issue a much larger fields su light spectrum. That’s why the eye will perceive colours (or almost) of your items. This white is a little more aggressive but is the one who best meets the natural colors of objects, but also one that offers the most power on our light bulbs. (The LED is less filtered). 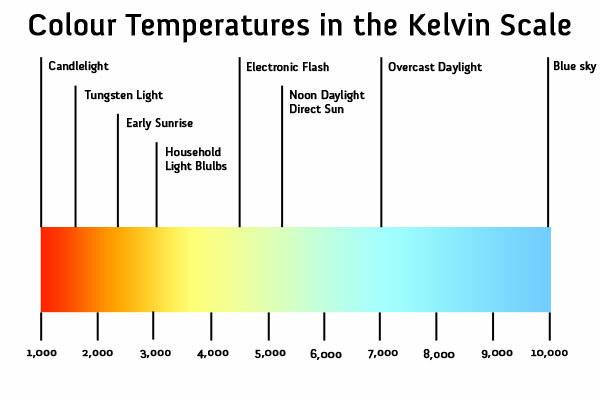 Between these two extreme, you have the neutral white (daylight), around 4000 ° Kelvin, similar to the light emitted by our Sun in the middle of the day. It is a good compromise between a white hot, a bit “dated” and a white cold, sometimes a little too aggressive. Does this look like 5000K?